Sailor was Zesta's first American, Canadian Champion. 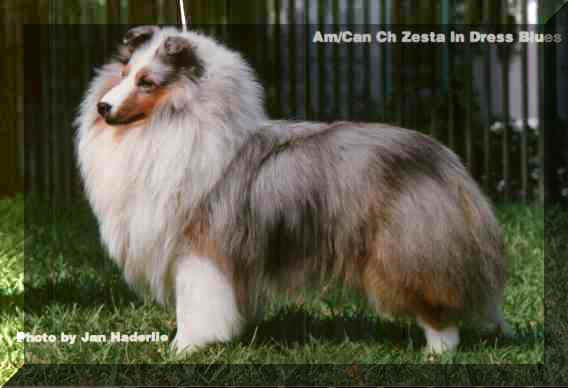 Sailor received an Award of Merit at the 1st Canadian Shetland Sheepdog Association's National Specialty Show in 1992 under respected breeder judge Jean Simmonds. Sailor later went on to make his home in the US.